Arul Thangavel, VP Clinical Strategy at WiserCare, Inc.
Saul Marquez: And welcome back to the podcast. Today I have the outstanding Doctor Arul Thangavel. He’s the Vice President of Clinical Strategy at WiserCare. Dr. Thangavel is a practicing internal medicine physician with extensive research, quality improvement, and clinical experience. 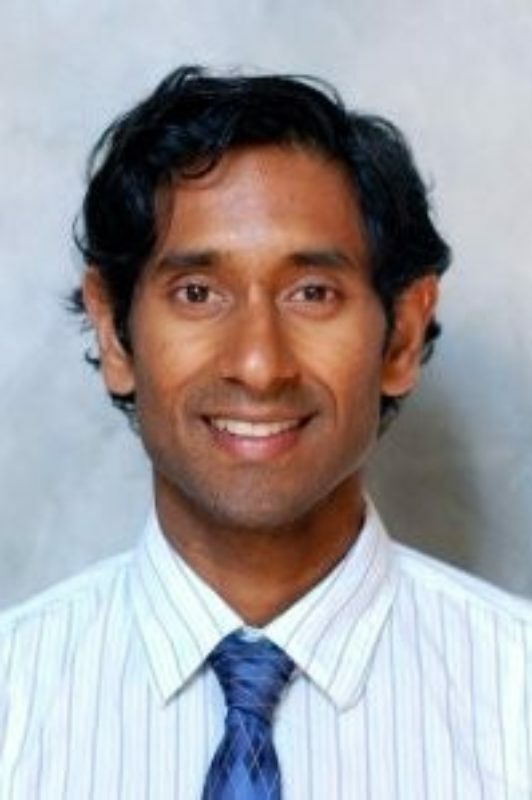 He completed internal medicine at the University of California in San Francisco where he also spent time at medical school and graduated with honors that directly before joining WiserCare, Arul was both an Assistant Professor of Medicine at Georgetown and a Foreign Affairs Officer at the U.S. Department of State. Prior to and during medical school Dr. Thangavel researched in multiple fields including human neuroscience, cognitive science, psychiatry, meta analytic techniques, hospital quality improvement, and Global Health Practice and policy. So his wide perspective really give a way to the great work that he is up to at wiser care so it’s with a true privilege that I welcome Dr. Thangavel to the podcast. Welcome Arul. Dr. Arul Thangavel: Thanks Saul, appreciate it. Saul Marquez: Hey. Absolutely. Anything that I miss in that intro that you want to share with the listeners? Dr. Arul Thangavel: No I think that’s a pretty good start. I’ve been with WiserCare now for about two and a half years full time and have I really enjoyed it. So I’m looking forward to talking more about the experience. Saul Marquez: Awesome. So what got you into the medical sector to begin with? Dr. Arul Thangavel: That’s an interesting question. I had a somewhat circuitous path to medicine. I didn’t always want to be a doctor. Growing up my dad’s a doctor and I was exposed to medicine early on. I ended up thinking a little bit more about doing research. I was a finished undergrad I was doing more research with the brain and what was really interesting was to see was to work with the brain in a psychiatric population. I found in the psychiatric population was really interesting how the medical system categorizes them as ill or not ill and how that patients agency in the system can differ depending upon what the label is it’s placed on their disease or multiple other factors. That’s kind of how I got interested in medicine. I ended up going to med school a little bit later than most but still had a good time with it. Saul Marquez: Very cool very cool I love your path and and also your interest in the area of medicine that you chose. At WiserCare, maybe you could share with us the hot topic that you guys are after and how you’re approaching it? Dr. Arul Thangavel: Sure the WiserCare has a lot of different products and solutions but they’re all really focus on on solving the main problem of how to get the patient voice injected into every part of a patient, physician patient health system, patient payer relationship it’s really patient centered medicine at its core. So the problem that we’re trying to solve is patients carry around this great deal of expertise in what their own individual informed structured preferences are but they don’t really have a good way to let the health care system know to let a payer know to let their doctor know what they actually care about especially when it comes to a specific medical decision or some decision down the line. For example if you are very sick later on you may have very specific preferences about the medical situation but you might not have a conduit by which to tell the folks who are actually gonna be involved in your care. We know that when a patient’s voice is taken into account in a medical decision this is called shared decision making when that happens, there is a great benefit costs are lower for everybody care is better aligned to a patient’s wishes and satisfaction is higher for not just the patient but for the provider as well. We’ve done this since the 1950’s really since the cardinal research and shared decision making was done. But the real difficulty has been in the implementation. How do we systematically make the decision making process better for patients? How do we get the informed preferences in front of the doctor without relying on dramatically increased visit times or some sort of process that doesn’t really jive with the clinic’s workflow. So that’s the main problem that we’re solving WiserCare, trying to get these preferences first from a patient really showcase what their expert in but then deliver them to a health system to a physician to a payer in a way that is actionable without disrupting that workflow. Saul Marquez: That for sure and back to the the idea that hey in health care you really don’t have to reinvent things you just have to figure out how to implement them. So Dr. Thangavel and his team are doing just that with what they’re doing at WiserCare. Can you give us an example a rule of how the group you’re with has improved outcomes or created better results by doing things differently? Dr. Arul Thangavel: Yeah sure. And you sort of dovetail on the comment that she has had. I think it’s incredibly important for us to think through it takes up to two decades for a medical for a known medical good to actually be implemented and used across a patient population. And that’s just simply too long. We can’t wait around two decades for all of these benefits we know are at our fingertips to actually be applied to a population. So what we do at WiserCare is we operationalize this incorporation of patient preferences into a patient’s medical care journey. Got a lot of different flavors. So in some cases that means we help a patient with a decision making around early stage prostate cancer. In other cases it might be around what type of colon cancer screening method to choose. And in other cases it might be around advance care planning which is helping a patient expressed to their care team and to their loved ones, what type of care they would want if they got very sick and were unable to speak for themselves. So we know that all of these intervention points are valuable intervention points and when it’s done well there’s good benefit but where we were we’ll work on WiserCare is taking that information and taking that known good and operationalizing it and operationalizing it looks different depending upon what health system you’re at, whether you’re a payer, or if you are simply a provider single provider in a group who wants to do better practice. So we have somewhat of a we have an approach to this implementation but that implementation is really work. Saul Marquez: Yeah. Now that’s a great call out and when we take a look at the opportunity that exists here to inject as Dr. Thangavel of I mentioned inject the patient’s voice into the care process, scalability becomes an issue. Right. And just how do we spend that time without having to spend the time. And so it’s with the increasing number of patients coming on board and a number of doctors not growing at the same rate. It’s important that we figure out scalability so so how are you guys doing this? Dr. Arul Thangavel: Yeah. So that’s exactly the lens by which we approach the problem. We knew there was a good solution but we knew that solution cannot rely upon increased provider time. You couldn’t rely on on a workflow that really disrupted clinic staff. So our our founder Dr. Chris Seigel he spent years researching how to do share decision making in a way that was not disruptive to clinic and did not actually impact providers time in the actual clinical appointments it didn’t increase critical time but still provided the benefits of your decision making and the way that we do it is we deploy a shared decision making module which is really a decision making model. It’s a way for patients to understand what their preferences are. Incorporate those preferences into a specific decision and then come to the doctor informed and ready to talk about how the different treatment options that exist for whatever illness they’re struggling with how those different treatment options jive with the patient’s preferences themselves. We actually all the information occurs before the clinic visit using online tool that we’ve created. And from there the output of the tool goes to the physician also. So it’s a much smaller more curtailed version of the outfit that goes to a patient which is much more exhaustive but at the end of the day the doctor and the patient start off their clinical encounter with a good understanding of what each other’s respective expertise is. So the patient starts with their expertise in their own preferences is able to tell the doctor about those preferences and the doctor starts off with expertise in medicine and is able to apply that expertise to a patient’s preference. Saul Marquez: Very cool vehicle and folks just stop for a second and imagine that you walk into your doctor’s office and prior to walking in there your forms you fill out a couple of surveys that took maybe several men and how long these take on the typical basis Arul? Dr. Arul Thangavel: Yeah it depends. There’s. Some of our shorter experiences that can be as short as a few minutes for some more extensive experiences it can be as long as 20 minutes. It really depends on the decision struggling. Saul Marquez: Which isn’t bad right. So at the worst case scenario you spend 20 minutes let’s just say half an hour typing in some things that have to do with you and think about it this way you go shop for a house you’re going to input the things that you want things that you don’t want. You put the filters on and then Zillow or Redfin sends you all the things that you like. Right so you just did that a fraction of the time that you spend looking at a house and now you go in and you see your doctor and the doctor knows exactly like what you fear, what you wish you didn’t have to do. Now it’s a more tailored approach to you. I don’t know about you all but that’s something I want and honestly something that should be that isn’t and I give us a lot of kudos to Dr. Thangavel of all on his team for really putting themselves out there and trying to make this happen because it’s not easy and definitely it’s those things that aren’t easy that make them worthwhile. So as you guys have worked toward getting this solution to providers and payers hands, what would you say one of the setbacks you’ve had and what you learned from it? Dr. Arul Thangavel: I think in general our implementations have worked well. One setback that we experienced early on was understanding that not every patient was interacting with our platform on a desktop computer a laptop computer. There are a lot of folks out there with smartphones. A lot of folks out there with tablets. So luckily we’ve invested about three years of infrastructure building into our platform so we’re able to quite quickly make changes to the presentation of our material to fit onto a smartphone and be optimized for that experience or to be optimized for a tablet. And now we routinely prospectively look at the type of usage we get from tablets, from phones and from desktop laptop computers and we’re able to surface information in different ways for patients who have a specific preferred method of interacting with our tools. Saul Marquez: Love it. I love the agility and what would you say what are your proudest leadership experiences has been to date there? Dr. Arul Thangavel: You know I think that the thing that I’m most proud of what we’ve done at WiserCare is our work in advance care planning so advanced care planning again is this methodology of getting patient preferences to the forefront. When a patient is not able to make medical decisions for themselves it can result in an advance directive, health care power of attorney. There’s lots of different outputs that come out of the process but really when you take a very structured approach to eliciting patient preferences around the end of life and serious illness you get some really astounding answers. And for me as a practicing physician whenever I encounter a patient in the hospital for example who I just simply don’t know and if patients quite sick and can’t really speak for themselves it’s kind of a block box I’m forced to revert to using every type of medicine I have at my disposal. Even if the patient doesn’t necessarily want that it’s been really gratifying to take our advance care planning tools and scale them across populations of really trying to help those patients have a voice even if they don’t have a voice and illustrate to a doctor that look these are the types of medical interventions I would want. These are the principles I’ve once followed. This is my quality of life and this is what I want to retain and my quality of life. The really important things that kind of remove a really take a patient for being a patient to being a human being that you’re treating is just far too often those that we lose something that translation has been really gratifying to be a part of that we humanization of medicine. Saul Marquez: Love that now it’s definitely key. I’ve talked to my wife about these particular things and I actually roll I read you know to go on days on Being Mortal One once I finish reading it I’m I sat with my wife I’m like “wow I guess we should talk about this you know” and we started talking about these things that when we get to the end do you want to die at home like when should we pull the plug if we have to. And so these are the crucial conversations that I think can help people getting the care get what they want and then the thing that he mentions in his book is how it’s affecting physicians and so maybe you could touch on that. Like what have you seen has been the biggest impact for physicians with the use of this and the life type of planning. Dr. Arul Thangavel: It’s a great question so and I applaud you for taking the time to talk with your wife about these important issues across the country. Only 30 to 40% of patients have actually even thought about this and started down that pathway. We definitely have to increase that number. I think it should be close to 100% of folks are really talking about this. But yeah on the provider side there is moral distress when you are treating a patient who you don’t think wanted the type of care that you’re giving them. Our systems are set up for default care. Our systems are set up to do CPR, to intimate patients, to take them to the ICU, and patients don’t always want that. We know that 80% of patients want to die at home but only 20% of patients do. And just think about that stat for a second right. That means that 80% 60% of patients who actually wanted to die at home end up dying in the ICU, in the hospital, hooked up to machines, not at all what they thought that their last days were going to be like. And that provides a lot of moral distress for providers so why should we be taking patients to ICU if that’s not what they want. What we see now are in our role as of our best planning tools is that first of all the content that we developed was developed from a multi stakeholder group of folks including patient, patient readability experts. So making sure that the information we’re providing is actually that can actually be read by a patient understood by a patient and physicians primary care physicians, palliative care physicians, hospitals physicians. So we had this multi stakeholder group convened to really go through all of this content and help us understand how to make this output as useful as possible. And what’s super fascinating is you know if you look at the history of advanced care planning it really rests on some of these intense treatment decisions like CPR and intubation and maybe dialysis or a feeding tube. And we agree that those are very important treatment preferences to get when they exist. But what’s been even more rewarding for the providers to see in our output are some of those softer questions. For example what gives you happiness and joy in life. How do you define your quality of life. What are the things today that you can do that you couldn’t live without and those sorts of questions once you start to answer them as a patient you’re giving your provider a full 360 degree view of your life and where you consider value to be in that life. And then it’s not really about the specific treatments. I mean it can be if you really don’t want CPR you shouldn’t get CPR but there are so many treatments that you haven’t expressed preferences for. For example would you want a blood transfusion. Would you want chemotherapy. Would you want a specific type of antibiotic. And all of these other treatment decisions rest on your preferences just like there a preference aligned decisions for prostate cancer or colon cancer screening their preference align treatment decisions for end of life care. So it’s been really rewarding for providers to get that 360 degree view of a patient. And again you know really reunites the patient their medical system. Saul Marquez: Love that. Very insightful. You know I’m just not being a physician I I’m I just you know it’s good to put myself in your shoes or in the shoes of a provider. And yeah I mean you do get that moral dilemma why is this what they would want you know when you go home and you think about it. And it’s something that you think about when versus if you have a way of knowing how cool is that. And yeah it’s just so cool that that would even be an option. Right. Right. And I really think it gets back to that default mode of care. I’m not sure everyone knows if you’re not intimately familiar with being hospitalized which most people aren’t. You may not know that if you don’t express any preference. You actually are expressing a preference you’re implicitly expressing a preference for all care and that may not be at all what you want. So as with any other industry it really is buyer beware and you should be careful make sure that you’re getting the thing that you’re that you want out of your medical care take that to heart. Listeners it is a great piece of advice. Tell us about an exciting project that you’re working on today. Dr. Arul Thangavel: Yeah we’re working on a lot of interesting implementation of our shared decision making tools. We’re actually just starting to build a shared decision making to a new one with some colleagues at Northwestern and this church is making tool is for patients who have inflammatory bowel disease specifically Ulcerative Colitis. We got a grant to do this work and it’s really an academic implementation of one of our products. We have a lot of commercial implementations as well which are more focused on our existing products getting them into the hands of patients and in health care teams. But it’s always fun to create a new experience from scratch. Saul Marquez: Yeah that’s exciting. Congratulations on that funding and sounds like a really neat niche to tackle. Dr. Arul Thangavel: Yeah. Yeah. Very. I think it’ll be very rewarding. Saul Marquez: If you find yourself at Northwestern I’m a couple minutes away from there so give me a shout. Dr. Arul Thangavel: That’s great. Dr. Arul Thangavel: Yeah yeah definitely. Let’s meet up. Saul Marquez: Yeah. So getting close to the end here Dr. Thangavel let’s pretend you and I are building a leadership course and what it takes to be successful in the business of health care and the patient side patient provider side. We’ve got a syllabus that we’re going to do lightning round style. I’ve got five questions followed by a book that you recommend to the listeners. You ready? Dr. Arul Thangavel: Sure, do it. Dr. Arul Thangavel: Yeah I think the best way to improve health care outcomes is to listen to patients and design your care around what a patient wants. It’s just like other industries where if you don’t listen to your customer then you’ll have no way of understanding whether or not you’re delivering value. So I think that’s a first step. Dr. Arul Thangavel: Well along those same lines I would say you shouldn’t assume that you know what your patient wants. And this is not just addressed to a specific physician but also to a CMO or a CFO of a healthcare system. There is an implicit you know in medicine we’re trained to implicitly try to understand what a patient would want and deliver that to them because that’s just simply how we were trained. We have X amount of time with patients and we have to try to get everything done in as quick way as possible but also in as efficient way as possible while delivering some good quality care. But it turns out that you actually delve into what patients want. There’s a lot of variation there. So you might understand what your patients want on a population level but applying that to the individual is not necessarily always beneficial to that person. So really listen to each individual person and deliver that person individualized care. Saul Marquez: Great one. How do you stay relevant despite constant change? Dr. Arul Thangavel: I think that the best way to stay relevant is to continue to keep an open ear for all of those points of feedback that you get. At WiserCare we get a lot of feedback from patients, we utilize feedback from providers, and a lot of it’s positive but it’s not always positive and when we see those opportunities for improvement they’re really like little jewels. You know we just really take them and we try to do the best we can with them to improve the patient provider experience that we’ve had a lot of success in not dismissing any sort of feedback and really incorporating all in order to make that product. Saul Marquez: Love that response and listeners I’d also add to keep your ears open but also keep a journal or some the log in official log where you keep all these things because the ideas that you get today may not be as relevant today as they’re going to be a year from now so there’s nothing more powerful than an idea that has met the right time. So take Dr. Thangavel’s advice and also store those somewhere and reference them on a quarterly basis because they definitely will draw some great insights for you. What would you say an area of focus that drives everything in your organization? Dr. Arul Thangavel: I think you know we’ve talked about this a lot in our time together, I really think it’s the patient’s voice. We’re just consistently focused on how to get that patient’s voice magnified in the health care system and what’s really interesting is we’re not the only people who really crave that patient’s voice. Providers pay crave that voice, health systems crave that voice, and payers treat that voice because we all know that patients have a lot to tell us. We just also all know that we’re not that good at getting it using our current mechanism. Saul Marquez: I love it. And finally what’s your number one success habit? Dr. Arul Thangavel: You know I exercise actually. I don’t exercise I have too much excessive energy. I try to go for a run every day and it does. I live in California so luckily the weather is mostly accommodating. Saul Marquez: The weather for meds. Yeah I definitely enjoyed getting into the gym. My minimum is at least three times a week and it definitely keeps the mind sharp. Dr. Arul Thangavel: Definitely. Yes it is a lot of studies to prove that actually. Saul Marquez: I got to read some of those studies because I hear all the time. Dr. Thangavel what book would you recommend to the listeners? Dr. Arul Thangavel: Well there’s a lot of books out there around patient preferences and shared decision making. But you know what I would actually recommend to folks is this book that is my favorite book which is not at all related to what we’ve been talking about. Dr. Arul Thangavel: I think that it’s called A House for Mr. B’s Wife and the author is V.S. Naipaul. He won the Nobel Prize a couple of years ago and yeah yeah it’s a great book. I was actually a literature major in college. So yeah I tried to read fiction whenever I can. And this book is it’s a great book about an Indian family that ends up in a Trinidad and their experiences kind of living there and kind of a community culture. So I recommend that. Dr. Arul Thangavel: Yeah it’s great. Saul Marquez: You guys are doing some great things. But before we conclude I love if you could just share a closing thought and then the best place where the listeners can get in touch with or follow you. Dr. Arul Thangavel: Yeah sure. I think that as a closing thought I would encourage anybody who’s listening. You know we’re all patients at some point in our lives whether we like it or not. Now I would just encourage you to take some time to understand that you can have a lot more agency in the system than the system by default would give you. So if you take a proactive stance you really try to inform your health care teams on what you care about then your care can only get better. And trust me your healthcare teams want to know even if they don’t know how to actually elicit it from you. They actually do want to know the results. So I’d encourage everybody to take that proactive stance in their health care. In order to get in touch with us, you can always go to www.wisercare.com and my names Arul Thangavel if you put in any sort of comment in any of the places on our website then somebody in our team will come back to you. We’re a small team. There’s only eight of us so it’ll definitely get to me some way or another. Saul Marquez: I love it. Well Arul this has been a pleasure and folks take Dr. Thangavel’s call to action you know take your care into your own hands. Be proactive. Chat about what you want. So that you too could get wiser care for yourself. So Dr. Thangavel we want to say big thanks again for spending time with us. Dr. Arul Thangavel: Thanks a lot, Saul it’s been a lot of fun. The above audio transcript of “How to Include Patients in Their Care Experience with Arul Thangavel, VP Clinical Strategy at WiserCare, Inc.” was transcribed by the best audio transcription service called Sonix. If you have to convert audio to text in 2019, then you should try Sonix. Transcribing audio files is painful. Sonix makes it fast, easy, and affordable. I love using Sonix to transcribe my audio files.